Following on from yesterday’s post, here’s a look at the vote in Fort Bend from the perspective of the State Rep districts. I want to begin by noting that HD85 is only partly in Fort Bend; it also encompasses Jackson and Wharton counties. I have no explanation for why the Republican vote dropped off by 10K from 2012 while the Democratic vote has held more or less steady over the past three elections. I didn’t include the 2012 and 2008 Presidential numbers when I first drafted this post, so I wouldn’t have even noticed that had I not added them in later. Maybe there are fewer people in the district? I have no idea. Feel free to enlighten me in the comments. HD26 is the revelation here. It’s never been on anyone’s radar as being potentially competitive, having been drawn as a 62% or so Republican district in 2011. What appears to be happening is that much like Commissioner’s Precinct 4, HD26 gained Democratic voters, about 6,000 of them over 2012, without gaining any Republican voters. This is not a coincidence, as 26 of the 41 voting precincts in HD26 are in CC4, so the fortunes of the two are clearly correlated. The non-Presidential numbers don’t really qualify HD26 as a swing district, but the trend is in the right direction, and if 2018 winds up a lower turnout year for Republicans, this could interesting. And while I’ve consistently downplayed the Presidential numbers in various contexts, one does have to wonder if a Republican who was persuaded to vote for Hillary Clinton in 2016 might be open to the possibility of voting for a good Democratic candidate against a Trump-supporting Republican officeholder in 2018. The more we can test messages that might move the needle a point or two, the better. Whatever the case, even if 2018 is too soon for demographic change to make HD26 competitive, 2020 may not be. And remember that overlap between Commissioner’s Precinct 4 and HD26. A good candidate in one race can help the other, and vice versa. Neither HDs 27 nor 28 are competitive, and neither are all that interesting to look at from this view. 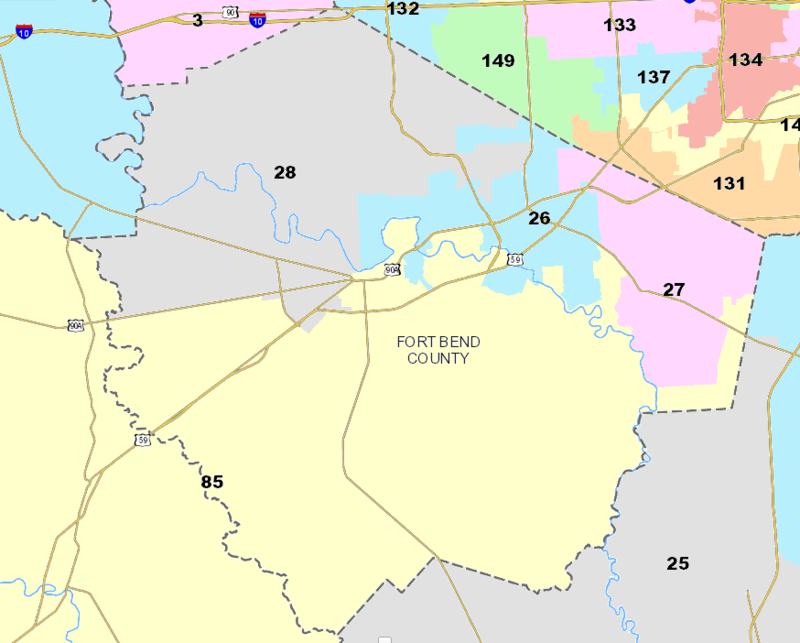 HD28 is clearly the fast-growing part of Fort Bend – it mostly overlaps with Commissioner’s Precinct 3, in case you were wondering. Turnout has increased by over 60% in HD28 since 2008. Democrats have kept up since 2012, but are behind overall from 2008. My guess is that if redistricting were to be done today, HD28 would be used to shore up HD26, while perhaps also dumping some Democrats into HD27, which hasn’t grown much. I don’t see HD28 becoming competitive based on what we observe here, but as a population center it’s imperative for Dems to engage here, because this area will have an outsized impact on countywide races. You have to keep the margin here manageable, and make sure that new residents who lean Democratic are aware that their votes are needed even if their local races aren’t really winnable. Back to Fort Bend for a look at another legislative race. His opponent in November, political newcomer and Democrat L. Sarah DeMerchant, takes a different stance: “It’s not about my personal beliefs, wants and desires.” She aims, she said, to be a candidate of the people. Still, Miller believes he has served the community in a way it likes. Residents first elected Miller to the state House District 26 seat in 2012, when he won with 63 percent of the vote. In 2014, the candidate triumphed again, with 70 percent. Though he does not take re-election for granted, he said he is optimistic he will prevail. The Fort Bend County district that Miller and DeMerchant are vying to represent encompasses most of Sugar Land, plus all or part of several unincorporated communities, including Cumings, Pecan Grove and New Territory. DeMerchant, however, wants residents “to take a stand,” and said she has an advantage over her opponent — who drew attention last year when his openly gay son challenged his stance against Houston’s anti-discrimination ordinance — because of what she said was her ability to listen to a diverse group of people. As is usually the case, HD26 is not a swing district. John McCain carried it 61.5% to 37.8% in 2008, Mitt Romney followed with a 62.9% to 35.9% win in 2012. Between potential shifts in Presidential preferences in Fort Bend and the pro-Democratic trend of Asian voters, there’s definitely room for this gap to close. On a side note, there’s a world in which this district really is a swing district. There were a couple of proposals during redistricting in 2011 that drew HD26 as basically 50-50, at least under the pre-2010 election results. Maybe we’ll see something like that in 2021. The Chron ventures outside Houston to make some Legislative endorsements. As an engineer who worked in weapons testing and procurement, retired Col. Cecil R. Webster knows his way around a firearm. But decades of experience couldn’t prepare him for the challenge of open-carry in Texas – specifically, procuring the exact state-mandated signs necessary to keep his church gun-free. After two terms in Austin, retired military veteran D.F. “Rick” Miller has tried to strike a balance between his Republican conservatism and the limited time available in session to address our state’s immediate needs. During the last session, Miller, 71, promoted bills to expand higher education in Fort Bend County and to empower county officials in going after game rooms. He said he relies on local committees to keep him informed about local issues, and plans to push during the next session on improving public education funding, mental health services for veterans, health care and transportation – a key challenge in this growing Fort Bend County district, which covers most of Sugar Land and part of Richmond. But Miller’s record isn’t sterling. He made news for pushing a bill that would rescind local anti-discrimination ordinances, earning condemnations from his own son, an HIV-positive gay activist. Ron Reynolds certainly has found a way to turn lemons into lemonade. After being found guilty of barratry – a charge that he is currently appealing – this Democratic three-term state representative had to declare bankruptcy and is now prohibited from working as a lawyer. So how has this affected Reynolds’ ability to represent his Fort Bend County district, which covers most of Missouri City and Stafford? If anything, he told the editorial board, he now has an excess of free time to focus on his constituents. “Honestly, I’ve been a full-time legislator,” he said. Beyond the bathroom debates and firearm fiascos, the next legislative session in Austin will have to tackle dry, numbers-heavy topics like fixing education funding and Houston’s public pensions. State Rep. Phil Stephenson is well-equipped to tackle these important issues, and voters should send him back to Austin for his third term representing District 85, which stretches from Rosenberg and parts of Missouri City in Fort Bend County south through Wharton and Jackson counties. Stephenson, 71, is a longtime certified public accountant and member of the Wharton County Junior College Board of Trustees. He told the editorial board that he wants to address unfunded liabilities – specifically pensions ­- and the property tax burden on homeowners. However, he did seem a bit out of touch on other issues, such as when he referred to the “Spanish community” in his district – we presume he meant Hispanic. Stephenson also said that he supported the campus carry bill last session because it maintained prohibitions on guns in classrooms – it doesn’t. An experienced businessman and deacon at Champion Forest Baptist Church, Roberts told the editorial board that he wanted to focus on the state budget, economic development in his district, the systemic problems in Child Protective Services and public education funding. Neither incumbent Rep. Leighton Schubert in HD13 nor Rep. Reynolds’ Republican opponent visited with the Chron editorial board, which eliminated them from consideration. I don’t recall the Chron endorsing in some of these races before, perhaps because there hadn’t been a contested campaign in them, but it’s a trend I support. They had some nice things to say about challengers Sarah DeMerchant in HD26 and John Davis in HD85 – the latter has an outside shot at winning if the Trump effect in Texas is sufficiently devastating to Republicans – but deferred to the incumbents. Cecil Webster ran in the special election for HD13 that was necessitated by Lois Kolkhorst getting a promotion to the Senate; he finished third in a district that’s probably never going to elect a Democrat. He’s doing something right, however, and I’ll be interested to see if he can move the needle a bit, no doubt with help from The Donald. Here’s a brief look at the July campaign finance reports for candidates in area State House races of interest. Faircloth and Wallace are in a runoff to take on Rep. Craig Eiland, whose red-leaning district is a rare pickup opportunity for the GOP. Bear in mind that candidates who had a competitive primary had to make an 8 day report for it, so their reporting period began May 21. Candidates like Eiland that had no primary opponents last reported in January, so they had much more time to raise funds for this report. If you’re wondering why Eiland is listed twice, it’s because he has both a regular candidate/officeholder report and a specific purpose committee report. HD26 was not drawn to be a competitive district, but it could become one after the DC court issues its long-awaited redistricting opinion. Vy Nguyen has been in this race from the beginning, however many maps ago that was, and I believe will do better than the district’s numbers predict. She’s smart and energetic and has a good future. The new Fort Bend district that spreads southwest into Wharton and Jackson Counties doesn’t seem to have drawn much financial interest so far. Olivo is a former State Rep who was defeated in the 2010 primary by Rep. Ron Reynolds and should have some fundraising capability, but a brief look through some previous report suggests this was not a strong suit of hers. Once again a marquee race for Harris County. I have to say, Davis’ totals are distinctly unimpressive, and her burn rate is potentially troublesome for her. Lot of money spent on consultants and printing. Mostly, I’m stunned by her relatively meager haul, less than half of what challenger Ann Johnson took in. Maybe I’m just used to the prodigious totals that her predecessors, Ellen Cohen and Martha Wong, used to rack up. Both of them eventually lost, so consider this Exhibit A for “Money Isn’t Everything”, but it’s still strange to see a targeted incumbent get doubled up by a challenger. I can’t wait to see what the 30 Day reports will look like in this one. Like I said before, I don’t quite get what MJ Khan is doing. Maybe he’s just keeping his powder dry, I don’t know. I still don’t think state issues are a driving passion for him. We’ll see. This may be the most competitive races in the state, with both parties getting their strongest candidate for November. One thing I’ve been meaning to comment on but haven’t gotten around to yet is Mary Ann Perez‘s amazing showing on Election Day in May. She collected 67% of the vote on E-Day, more than half of her final total, to vault past the 50% mark in her three-candidate race and avoid a runoff. Whatever she had going for a ground game, it worked. I suspect a good ground operation will be key in November as well. That’s all I’ve got. Texas on the Potomac has the local Congressional roundup, Kos has a national view, and I’ll take a look at county reports in a separate post. 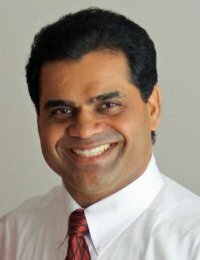 Only one Republican candidate, former Houston City Councilman M.J. Khan, is running for the seat. Several Democratic candidates said Khan’s name recognition could make him an opponent to be reckoned with in the general election. Khan has not filed any campaign finance reports with the Texas Ethics Commission. Khan and the Harris County Republican Party did not return interview requests. The Trib has done a number of stories about races like this, and they’ve done a good job of it. As they have done in other such articles, they manage to talk to all of the candidates and actually tell you something about them. It’s the mention of Republican candidate Khan that piqued my interest. As the story notes, he could be a formidable candidate in this Democratic-leaning but not rock solid district; in addition to the other factors cited, Khan could write his own check for the race and easily outspend whichever Dem wins the nomination. Yet so far at least he’s been completely disengaged. Maybe he’s just biding his time on the not-unreasonable theory that no one is really paying any attention right now, but I can’t escape the feeling that being a state legislator is not something MJ Khan has a burning desire to do. 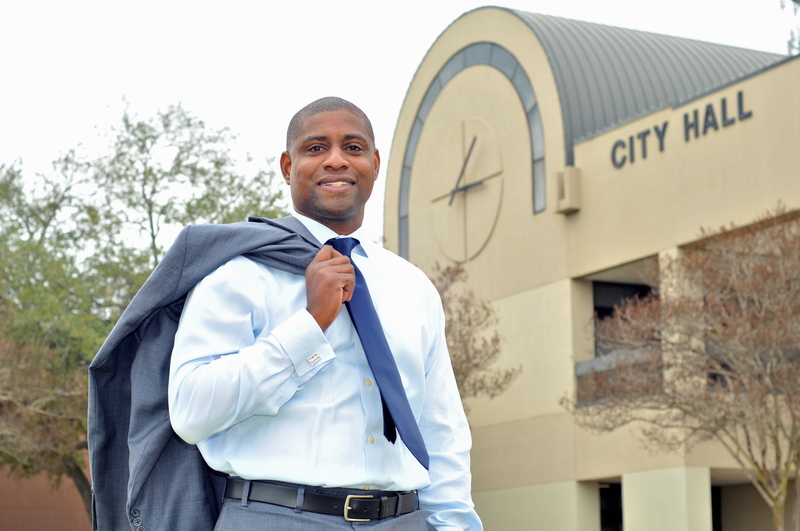 I understood his candidacy for City Controller – for sure, if he has it in his head to be Mayor some day, that’s a good way to go about it – but I never got the impression that state issues were a driving force for him. I could be wrong, and if someone out there knows better I’d love to hear from you, but I get kind of a Joe Agris 2008 vibe from him. Two influential incumbents on the State Board of Education — who are often at odds with each other — are both facing primary challenges that could result in a power shift on the fractious board. Thomas Ratliff won a spot on the board after a 402-vote victory in the 2010 GOP primary over Don McLeroy, who brought international attention to the state with his spirited defense of creationism. Ratliff, a Mount Pleasant native who campaigned on a platform of taking politics out of education, has become one of the Republican-controlled board’s reliably moderate voices. He has also been a thorn in the side of David Bradley, widely considered the ringleader of the strictly allied social conservatives who led the board to adopt science standards that required educators to teach “all sides” of evolution in 2009 and pushed for ideologically driven revisions to social studies standards in 2010. During their time on the board, the two have been on opposing sides of issues like withdrawing money from the $25 billion Permanent School Fund to bridge the state-funding gap for public schools, requiring amendments to curriculum to be laid out at least 24 hours before a vote, and handing more authority to school districts for textbook purchases. Now they both find themselves entangled in what are likely the board’s two most closely watched primary races. Another Trib story, which I see as being what that lame Chron story should have been. It’s also a reminder that while the potential is there for the SBOE to become less crazy if the likes of Bradley and Cargill get defenestrated, the potential is also there for the pendulum to swing back hard towards Wackytown if Ratliff loses. TFN Insider has a handy list of the candidates to watch out for. It’s a bit unnerving to have to rely on the sanity of GOP primary voters, but for the SBOE there’s not much choice. 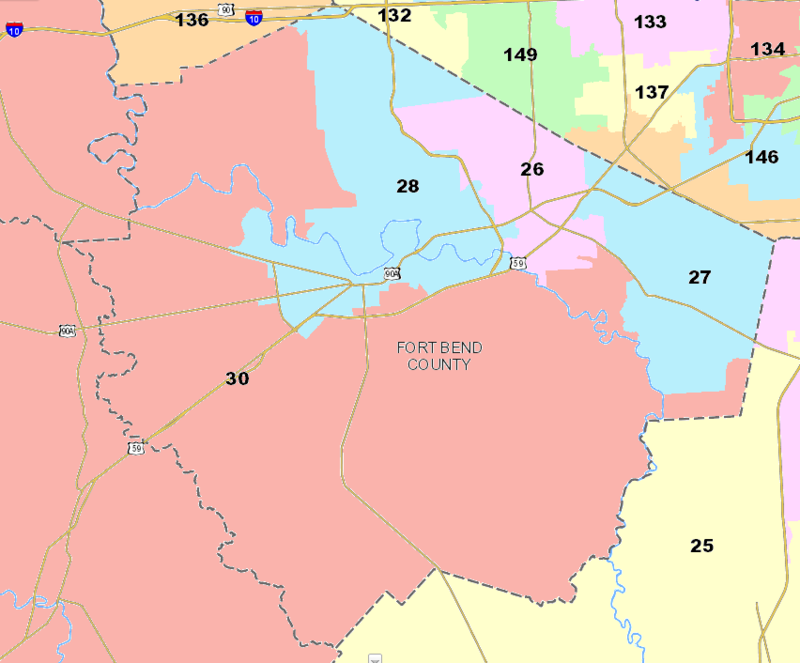 Fort Bend has been called a bellwether county so often that it’s easy to become skeptical about the use of the term—even if the description is accurate. 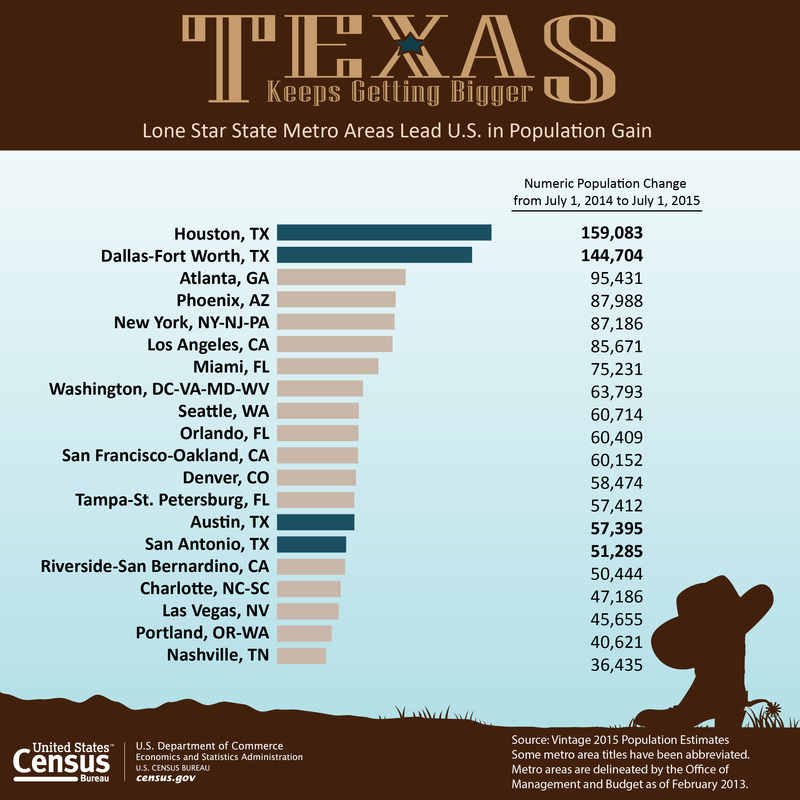 Fort Bend, which sits just southwest of Houston, is among the most diverse and fast-growing counties in Texas, part of the “Big Five” fast-growing suburban counties along with Collin, Montgomery, Denton and Williamson. It has pleasant subdivisions with genteel names like First Colony and Sugar Creek and an abundance of retail outlets along Highway 6, which barrels through Sugar Land, the heart of state House District 26. After 16 years, Republican incumbent Charlie Howard is leaving the legislative seat once held by Tom DeLay, long before he became U.S. House majority leader. 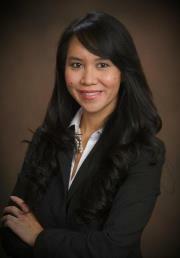 Four Republicans, including two women of color, are running for the open seat. Democrats hope to claim the county through building coalitions among its United Nations assembly of residents. Republicans are also courting the melting pot. 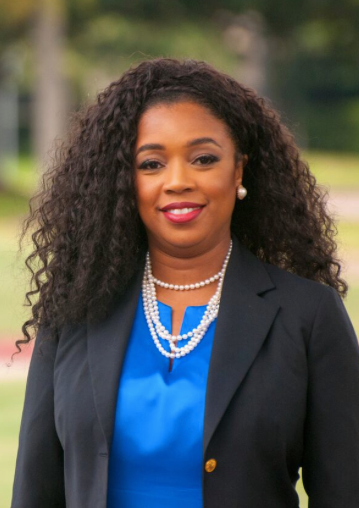 Of the four competitors for the District 26 seat, the people of color are—Sonal Bhuchar, a trustee and former board president of the Fort Bend Independent School District, and Jacquie Chaumette, mayor pro tem of Sugar Land. Bhuchar is originally from India. Chaumette is from St. Croix, the U.S. Virgin Islands. The other candidates are Rick Miller, former chairman of the Republican Party of Fort Bend County, and Diana Miller (no relation to Rick Miller), a real estate agent. Bhuchar and Chaumette have big fundraising hauls and are considered strong contenders in the four-way race. [County GOP Chair Mike] Gibson, not surprisingly, downplays the candidates’ race. “We don’t look at Sonal as South East Asian or Jacquie as Caribbean, but as Americans with strong skill sets that we feel good about running as Republicans,’’ he says. One thing this article doesn’t talk about is the fact that HD26 is one of the disputed districts in the ongoing redistricting litigation. Plaintiffs claim that districts such as HD26 are protected under the Voting Rights Act as minority coalition districts. In that fashion, a district that is more than 50% minority cannot be retrogressed even if no single racial group has more than a plurality of the population. The state argues that only districts in which a single protected minority is 50% or more does the VRA apply and as such there is no such thing as a protected coalition district; mapmakers are free to slice and dice as they see fit. That was how the Lege treated HD26, which is why it has that bizarre mutant Tetris piece shape, which it retained in the current interim map and which allows it to be a solid red 65% GOP district. In the original interim map, the judges drew a much more compact district that was also near partisan parity – both President Obama and Supreme Court candidate Sam Houston scored a bit over 48% in it. This is one of the questions that the DC court will address in the preclearance lawsuit, whether districts like HD26, SD10, CD25, and CD33 are covered by Section 5. If they rule for the plaintiffs, and if SCOTUS doesn’t come along behind them and gut the VRA, we could see a very different HD26 in two years’ time. Negotiators in San Antonio — trying to find common ground on state legislative and congressional districts so a primary date in Texas that can stick may finally be set — agreed to leave unchanged state Senate District 10, now represented by state Sen. Wendy Davis, D-Fort Worth. This district has been the subject of lawsuits and is seen as a big win for Davis. 1. As SD10 was the only disputed Senate district, this is equivalent to saying that the state and the plaintiffs have agreed on an interim Senate map. Indeed, according to the Trib, we have a Senate map for November, pending approval from the judges which I presume will be a formality at this point. One down, two to go. That was a bright spot in a day when the lawyers and judges trudged through the lists of differences over political districts for legislative and congressional seats. The judges put the lawyers through their paces, asking them to make their arguments on congressional maps district by district. With the incumbent in the middle of the gallery, the lawyers argued over Congressional District 25, a district that is either safe for or hostile to U.S. Rep. Lloyd Doggett, D-Austin. It depends on the map. In the proposal offered by the state and accepted by some of the plaintiffs — notably, the Texas Latino Redistricting Task Force — Doggett would find himself in a Republican district that stretches from Hays County, south of Austin, north to Tarrant County. He would probably run in a newly created Congressional District 35, which includes eastern Travis County and runs south to San Antonio. It’s Democratic, but designed to give Latino voters a bigger say in who goes to Congress. Attorneys for Doggett and for several of the minority plaintiffs argued that his district gives minority voters a choice and as a result is protected by the federal Voting Rights Act. Attorneys for the state, and for the Latino Task Force, argued that it’s not a protected district and that the changes make it easier to draw a new minority seat. In Congressional District 27, the plaintiffs argue that the state stranded more than 200,000 Latino voters, again in violation of the voting laws. But the state said that the adjacent congressional district is a new minority seat and that there aren’t enough people in that area to draw two such seats. In Congressional District 33, an inkblot of a district that straddles the Tarrant-Dallas county line, the plaintiffs said the state packed black voters into another district and denied them more say in the new seat. The state said that district was drawn to accommodate growing populations and not to create a new minority district, and said the plaintiffs were trying — there and in Congressional District 23 in south and west Texas — to draw new seats for Democrats and not for minorities. The arguments were tailored to each district but had a similar underpinning. The state said it drew minority opportunity districts where it had to, either because they already existed or because population growth required it. The plaintiffs said the state ignored opportunities to draw more minority districts. No clue about the State House map, though I’ve seen claims that the sides are not that far off. We should know by the end of the day today if that is the case. We may also be inching closer to a settled primary date. May 29 is now the favorite, but as with everything else, that could change. Michael Li has Davis’ reaction on Twitter, and a press release from the Lone Star Project about this is beneath the fold. Burka and Stace have more. UPDATE: More details on the now apparently settled May 29 primary date and the effect on precinct conventions. For comparison sake, here’s my analysis of the original interim map and of the Lege-drawn map. What was originally 26-10 in favor of the GOP, then briefly became 23-13, is now either likely somewhere between 25-11 and 23-13, depending on if Rep. Quico Canseco can hold on and if Nick Lampson can win CD14. Note that this is more or less the screw-Doggett map with new Dem districts in the D/FW area and in South Texas, which if it stands might put the kibosh on Joaquin Castro’s assignment for the DCCC and would leave Roger Williams in the cold while bringing Michael Williams back into the game. Smokey Joe Barton gets a little help, Blake Farenthold no longer has to worry about a Harris County challenger, and the heir apparent to Charlie Gonzalez is up in the air. Here’s my analysis of the interim map, in which I didn’t specify a likely number of Dem seats but estimated it to be about 60, assuming nothing horrible happened, and here’s my series of posts analyzing the Lege-drawn map: non-urban 1; non-urban 2; Travis, Bexar, El Paso; Metroplex; and Harris County. In this map, Harris County remains with 24 seats, with Hubert Vo’s district being drawn as HD136, so the so-far four-way primary in HD137 remains on. Sarah Davis and Ken Legler get some help, though the latter remains an underdog as I see it. Jimmie Don Aycock in HD54 also gets some help, while Geanie Morrison and Aaron Pena likely stay retired. As Greg noted, the more compact HD26 is gone, replaced by the snowflake-like red-hued earlier version. By my count, this map probably delivers 55 to 60 Dem seats, about what the original interim map was likely to provide; the Lege-drawn map was probably good for 55 at most. Again, while this does represent an improvement, it’s still a long way back to parity for Dems, meaning that even in conceding all this ground, the Republicans would still come out well-placed, at least to begin with. As for the State Senate map, there’s not much to say. SD10 remains a lean-R district, SD09 is slightly redder, and three other districts were tweaked as well. The main news here is the request by State Sen. Craig Estes, whose SD30 was one of those tweaked districts, to intervene. 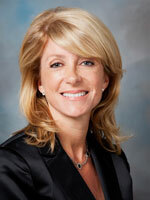 Sen. Wendy Davis, one of the plaintiffs in the lawsuits, did not sign on to the deal. As urban Texas becomes more diverse — and compartmentalized neighborhoods that are the exclusive preserve of one ethnic group disappear — more and more districts like Davis’ will emerge naturally. The competitive state House seats that have arisen in recent years in places like Irving and Grand Prairie are a product of the same phenomena. That may be why Texas Republicans have fought so hard to take apart Senate District 10 and shove its minority population into far-flung districts where forming winning coalitions is much harder if not impossible. The crux of Texas Attorney General Greg Abbott’s court argument has been that the only districts protected under the Voting Rights Act are districts where, unlike Senate District 10, a single minority group, by itself, controls outcomes in elections. In other words, in his view, Hispanic and African-American voters only get protected by the Voting Rights Act if they live in neatly defined ethnic barrios of the type that are becoming more and more rare in a multi-ethnic Texas. Abbott’s argument is a one-two power grab. On the one hand, the state argues it can’t draw more African-American or Hispanic seats because the populations are too spread out across the region. Then it argues that it can fracture the coalitions that minority groups manage to forge because “coalitions” aren’t protected by voting rights laws. Accept his argument, and Texas would be free to do what it did to Senate District 10 when it put a strip of the district where the population is more than 78 percent African-American and Latino into an Anglo-dominated district stretching past Waco. As Li notes, the DC panel rejected the state’s claims that coalition districts were not protected, though that doesn’t mean these particular coalition districts will get redress. This is why the majority of the plaintiffs were not interested in Abbott’s “deal”: It didn’t address their issues, and they have a reasonable hope that the DC court will. If that means the primary can’t be held in April, well, they weren’t the ones that asked for a stay from SCOTUS. Unless something happens to change this calculus, I think we’re back to waiting for the DC court to rule. UPDATE: I should note that I’m only paying attention to the 2008 numbers in these maps because any interim maps are only going to be in effect for this year. We are certain to have a new set of maps for 2014, after all of the current litigation has concluded in the federal courts, and may well have yet another set for 2016 depending on when SCOTUS does its thing. As such, I consider looking at the 2010 numbers for these maps to be even more of an academic exercise than looking at the 2008 numbers is.